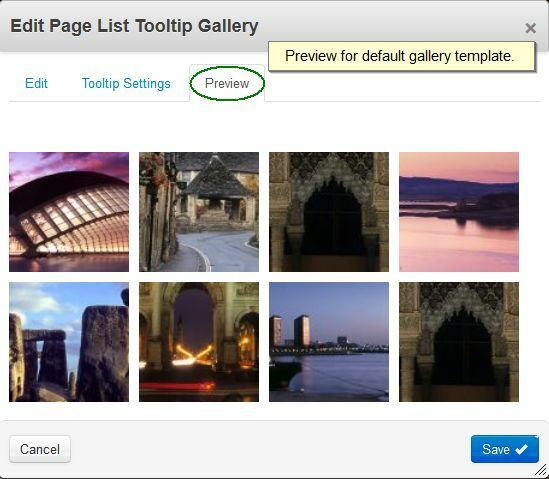 This page list based tooltip gallery creates a thumbnail gallery with fixed or movable tooltips with hover or click action. 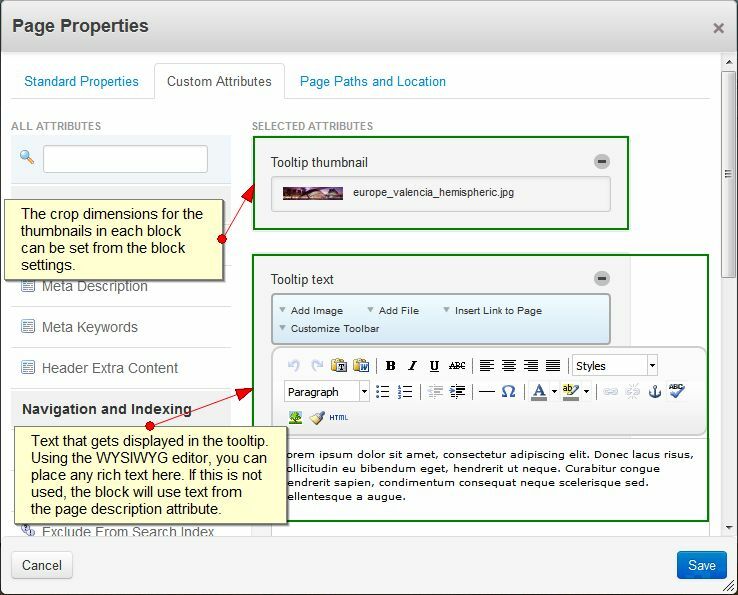 Includes page attributes, block template, and options for tooltip positioning, styling and image cropping. 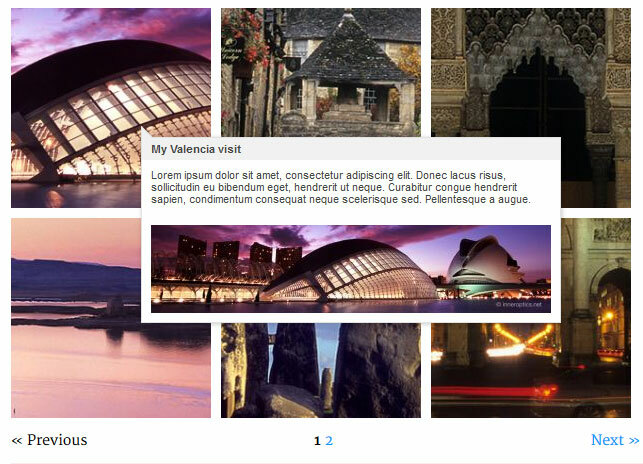 Perfect for portfolios, image galleries, catalogs and page lists. This add-on comes with a set of page attributes that is available on every page of the site. 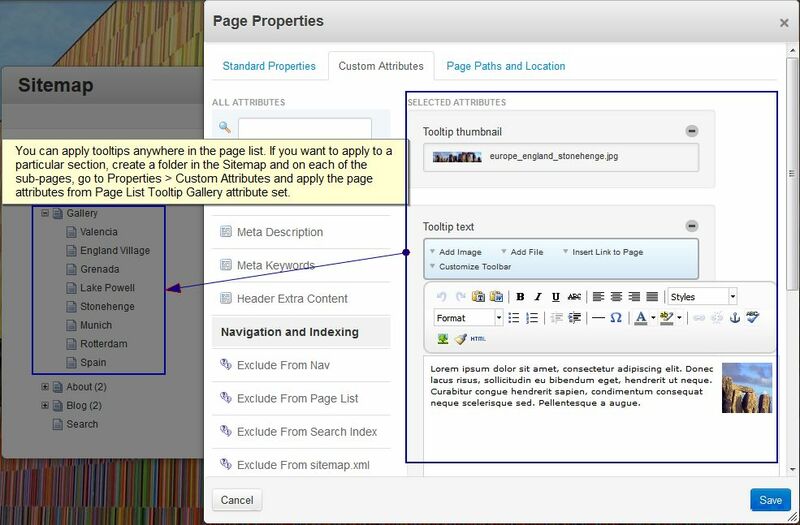 You can use the page attributes to add tooltip title, content, image and thumbnail. The add-on also comes with a custom template. You can also create your own tooltips by adding a custom class name and with a bit of CSS. 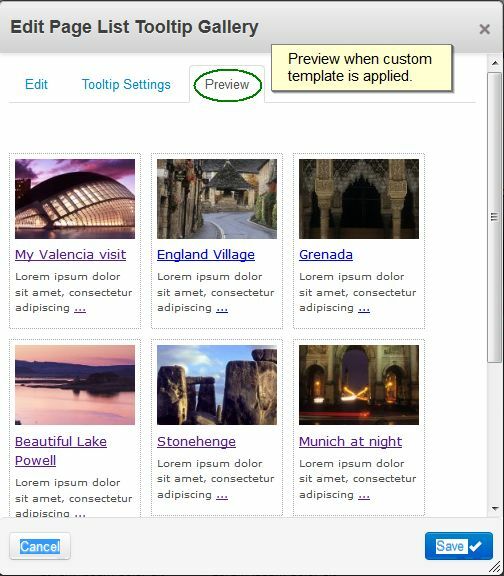 A custom tooltip CSS is included with the add-on. 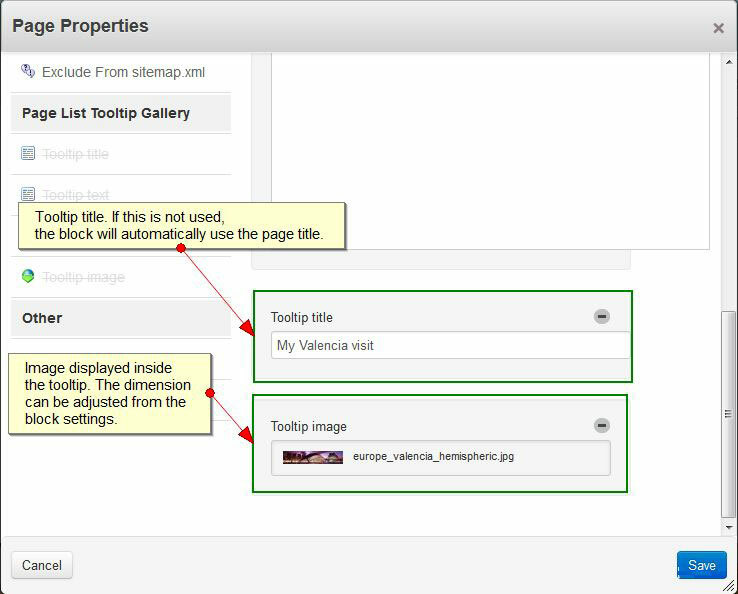 Please also refer to Screenshots, Live Demo and Documentation page. 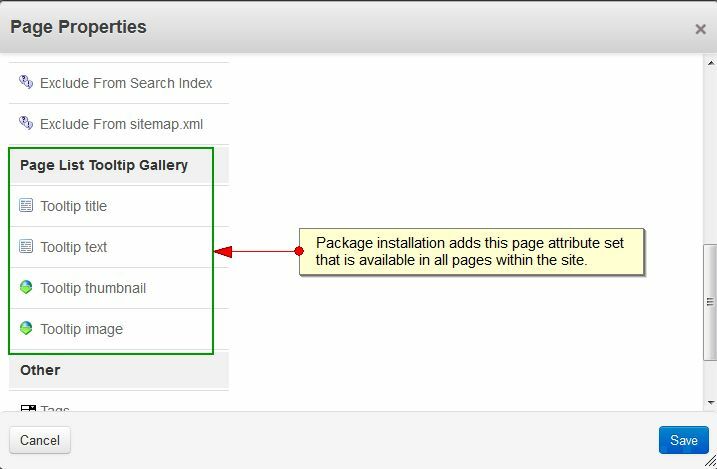 Installs with a page attribute set that includes page attributes for adding title, content, image and thumbnail for the tooltip. Comes with a custom template. 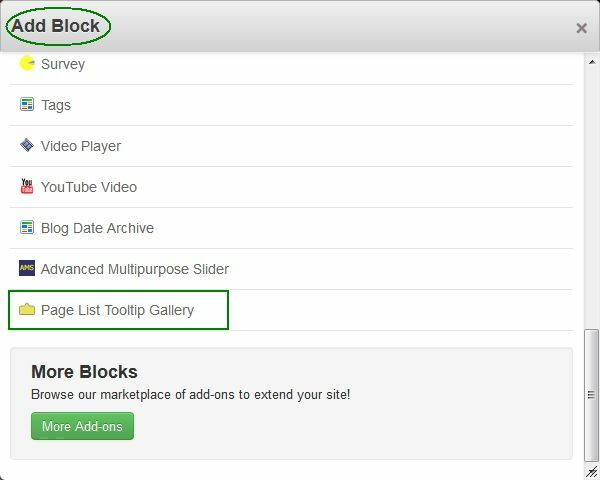 Fire up tooltips on mouse hover or mouse click. Move tooltips with mouse or use a fixed position. More than 10 tooltip styles. Tooltip pointer (arrow) positioning options. Thumbnail image crop dimension settings. Tooltip image max width setting. 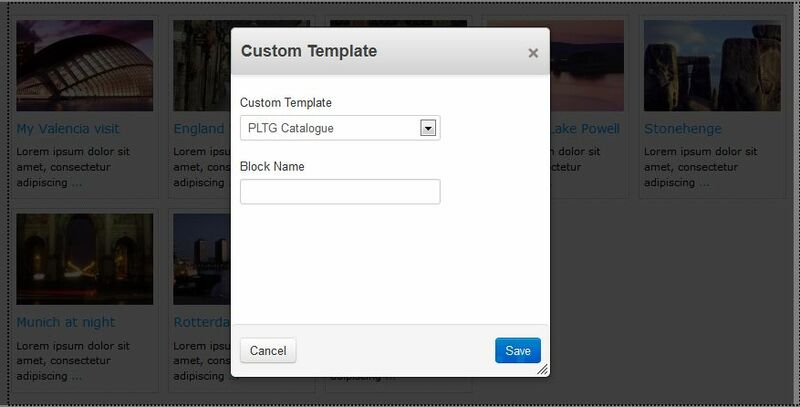 Add your own tooltip by using custom class.